If you're inside the project, project name field is already filled out so it's hidden. 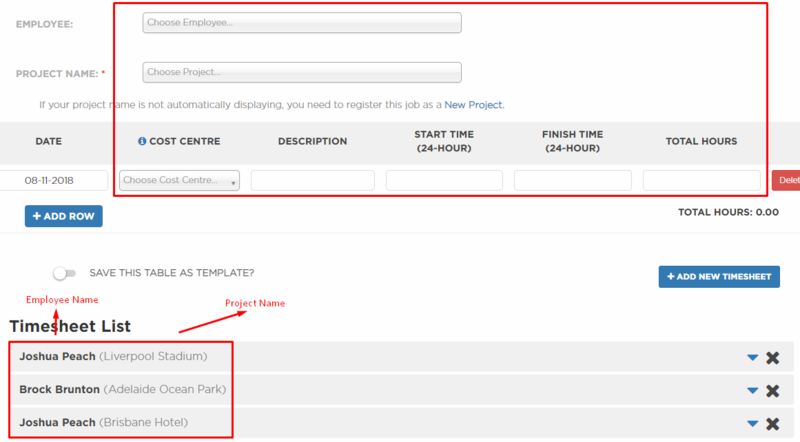 You will no longer keep choosing the project name field multiple times (unlike the timesheet outside the project). 1. 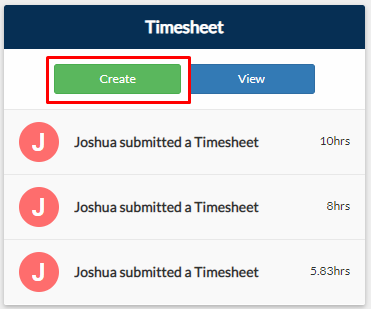 From your project page, click Create on Timesheet tile. 2. Choose an Employee from the options. 3. Fill out the other fields. 4. 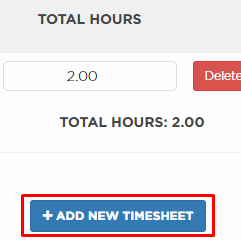 Click Add New Timesheet. 5. Your current timesheet will be added to the Timesheet List. Fill out the fields if you want to make a timesheet for a different employee on the same project. 6. After making timesheets for same or multiple employees, click Submit. You will be redirected to the submission summary where all your timesheets are recorded in the same project. 1.From your navigation bar, go to Construction Phase > Accounts > Timesheet. Or you may use the search bar in the upper right corner of you portal by typing in 'Timesheet'. 2. Choose an Employee and a Project Name. Note: Click New Project if the project is not displaying on the options. 5. Your current timesheet will be added to the Timesheet List. Fill out the fields if you want to make a timesheet for a different employee on a different project or a different project for the same employee. 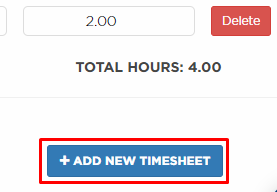 Note: Everytime you click Add New Timesheet, the inputs above will be listed below. 6. After making timesheets for same or multiple employees, click Submit. You will be redirected to the submission summary where all your timesheets are recorded.